Details of Archos’s next generation of tablets has leaked out, providing us with a glimpse of what we can expect before they have been officially announced by Archos. 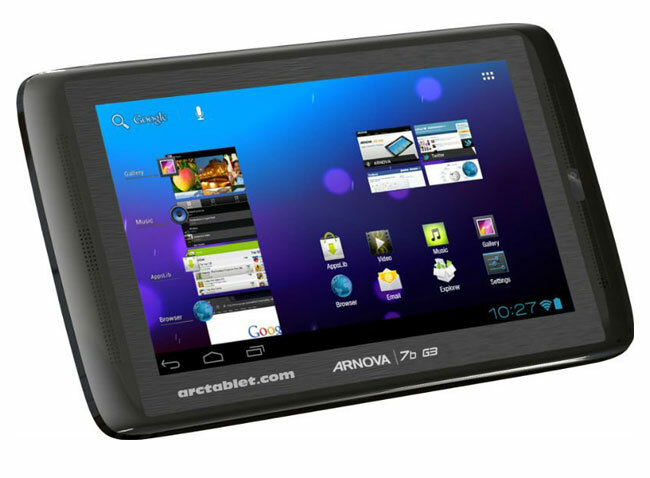 Archos’s third generation of tablets will all be running Google’s latest Android 4.0 Ice Cream Sandwich (ICS) operating system. But will be linked to the AppsLib Market instead of the official Google Android Market. – Arnova 10b G3: 10.1 inch, 1024 x 600 pixel display, RK2918, 1GB RAM, 4GB storage, Android 4.0. Unfortunately no information on pricing or worldwide availability has been discovered or leaked as yet for the Archos Arnova G3 tablets, but as soon as information comes to light we will keep you updated as always.